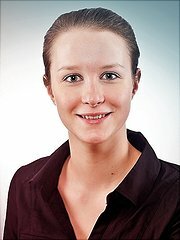 Since May 2018, Leonie Ratzke is a PhD student at the International Max Planck Research School on Earth System Modelling (IMPRS-ESM) of the Max-Planck Institute for Meteorology and the University of Hamburg. Leonie’s research interest focusses on questions concerning the environment, climate change and sustainability from an interdisciplinary perspective. She is especially interested in the valuation of ecosystem services and the climate adaptation potential of ecosystems in an urban context. In her work, she predominantly uses spatial data in statistical models as well as Integrated Assessment Models. Her doctoral dissertation has the preliminary title “ Assessment of ecosystem services in estuaries and urban areas ”.